That leads me to my secret weapon – evergreen marketing. For those of you that don’t know, evergreen marketing is marketing which is not affected by time and won’t expire – essentially meaning that if someone sees the marketing now vs in two years time it should still be relevant and have the same effect. Content Marketing – instead of writing a piece of content on industry news you could write a piece of content on how to improve an issue which people will still be having in a few years time. Email Marketing – instead of scrambling to send out a weekly newsletter you could create an evergreen series of weekly emails which will always be relevant and which are triggered once someone joins your database, buys something or takes some other action. Remarketing – instead of constantly launching new remarketing ads and banners to promote one-off campaigns you could segment your audiences by days since they visited and then setup an evergreen series of ads and offers to show them as they progress down the funnel. Competitions – instead of launching a brand new competition every month with a new landing page and new ads you could launch an always on, evergreen competition that has a prize drawn every month without you redoing all the setup work. Webinars – instead of running a new webinar each month you could record an evergreen webinar and use software to make it look like it’s live but which only requires a one time effort to record, create landing pages etc. rather than starting from scratch each time. To give you a real example of what evergreen marketing is and to see the difference, let’s look at one of my clients – Aussie Broadband. 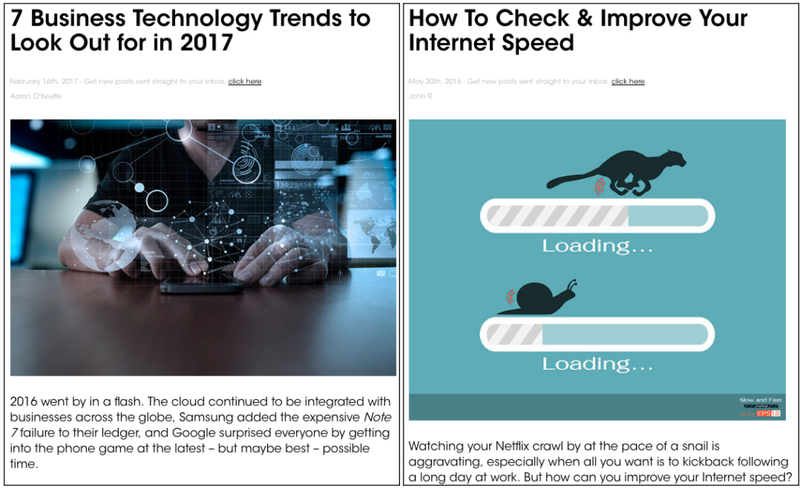 We publish a lot of content for them, two of the pieces we have published were a listicle of “7 Business Technology Trends to Look Out for in 2017” and a step-by-step guide on “How To Check & Improve Your Internet Speed”. Each piece required around the same amount of research, writing, editing and then publishing and promoting. But how did they perform? As you can see the time-sensitive content had a big spike as soon as it was launched as it was interesting, relevant content. This then trickled down until the end of 2017 when it became irrelevant. On the other hand, the evergreen piece on how to improve your internet speed started slowly bringing in less traffic than the time-based content in its first month. But then? Traffic grew and has continued to grow for two years as its organic search rankings improved and as more and more people searched for the solution. By focusing our time and effort on an evergreen piece of content we built an asset that has no cut off date and will keep delivering a return after we’ve stopped working on it. Last month alone, the evergreen piece delivered thousands of views and quite a few conversions. The non-evergreen piece? None at all, as it’s no longer relevant. 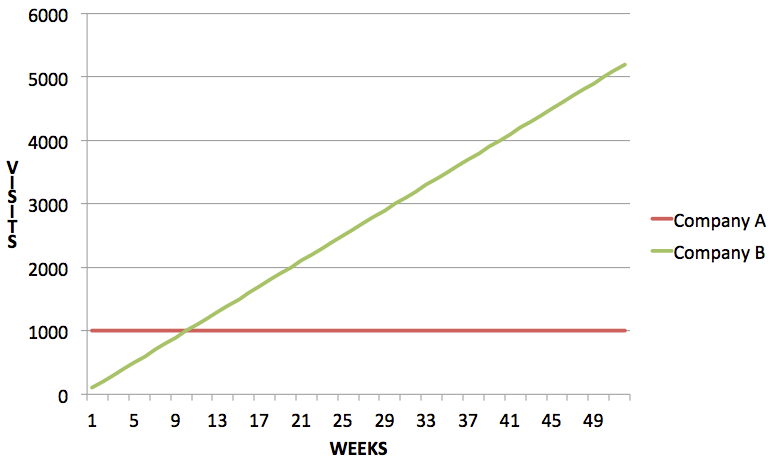 Let’s take a quick look at a graph of what would happen if you focused ALL of your efforts on evergreen marketing, which is what we’re now doing for Aussie Broadband and some other clients. Company A creates one piece of content every week which is timely about industry news and this gets them a decent 1,000 views on each piece of content in the following 7 days before it is no longer relevant. On the other hand, Company B creates one piece of content every week which is evergreen and will still be relevant in the future. Because it’s not as interesting right then they only manage to get 100 views in the 7 day period. Check out what happens over time – Company B who spends their time creating evergreen marketing assets sees their content views explode over time as they build more and more evergreen content whilst Company A is still having to churn out new content every week to get their views. The best part? Through focusing on evergreen content, Company B has created assets that will work in the future whether they create more content or not. They could literally go on holiday for a month and their content would keep getting read. Whereas for Company A, views would fall off straight away. Of course, this is just a simplified example and assumes everything is equal between the companies, but it’s a pretty clear look at the different approaches. Time Savings: By focusing on evergreen marketing you will free up a lot of time, yes – for holidays, but also for working on things like optimising and improving your marketing, brainstorming strategy or working on other higher priority things on your task list. Red Tape/Approvals: Launching a new piece of content or a new competition every month and going through sign-offs from legal again and again is time consuming, painful, and not a productive use of time or internal resources. Using evergreen content, you can get one time sign off and then re-use that content without repeating the approval process. Cost Savings: If you’re planning on paying an agency to do your marketing you need to make sure the majority of their work is evergreen – that way for every dollar you spend with the agency you’ll get that much more out of them saving you a lot of money. Testing & Optimisation: To optimise and improve a campaign you need one main thing – volume. With a one-off campaign you have limited volume so you can’t test and improve it. 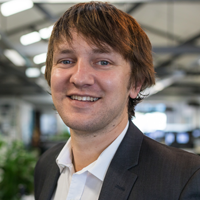 With an evergreen marketing campaign however you will have lots of people seeing the campaign ongoing so you can utilise A/B testing and other optimisation tactics to maximise your ROI. Automation: Evergreen marketing goes hand in hand with automation and if you can make your marketing evergreen and then automate it, so it is promoted or sent out without you spending another second on it, your ROI will be even better and you won’t need to keep thinking about the same thing each week. So how do you make the marketing that you’re doing evergreen? Select topics, offers or themes that you predict will still be relevant two years from now. Don’t mention any times, dates or other things that will identify when the content or ad was written. Don’t include any offers, products or other business related content that won’t be still relevant two years from now. Then regularly review and improve your evergreen content – although it’s meant to last forever over time you’ll still be able to make small tweaks and improve it. So, why do I think that evergreen marketing is your secret weapon to exponential ROI growth? Quite simply, it’s because if you focus your time, energy and money on evergreen marketing you’ll build more and more assets that will keep delivering a return. That will mean that every hour and dollar you put into work now will pay you back for years to come rather than for a limited time period. To be clear before I finish, even with all of these benefits I am not suggesting 100% of your marketing has to be evergreen – of course eCommerce stores should still run sales, of course you should put out thought provoking content about a current affair. What I am suggesting is that from today you shift more of your focus to evergreen marketing than you’re doing currently, so that over time your ROI from every dollar and every ounce of effort you put into it will be that much more. Would love to hear your thoughts, comments and ideas around evergreen marketing, and if you agree it will help you achieve exponential ROI growth – let me know in the comments.